Earlier this week I opened this lovely package from Neutrogena. 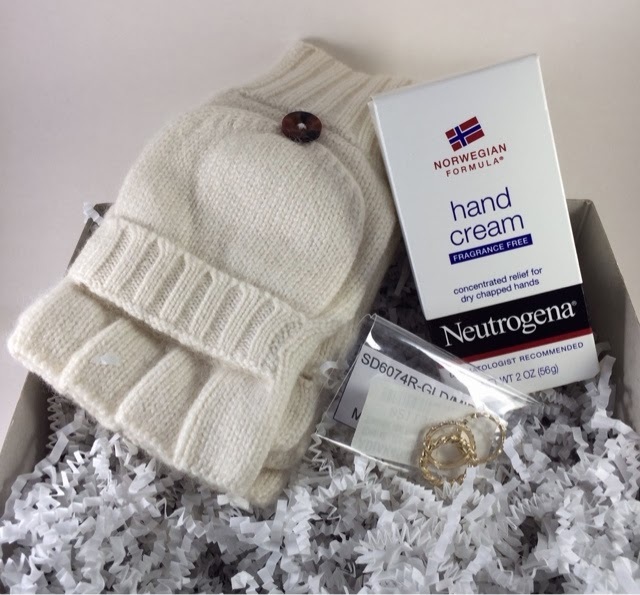 Inside were a pair of fingerless mitten/gloves, three gold midi rings and Neutrogena's Norwegian Formula Hand Cream. "Nuetorgena Norwegian Formula Hand Cream was originally developed in Norway for Arctic fishermen who needed to protect their own hands from some of the coldest, harshest weather on earth. 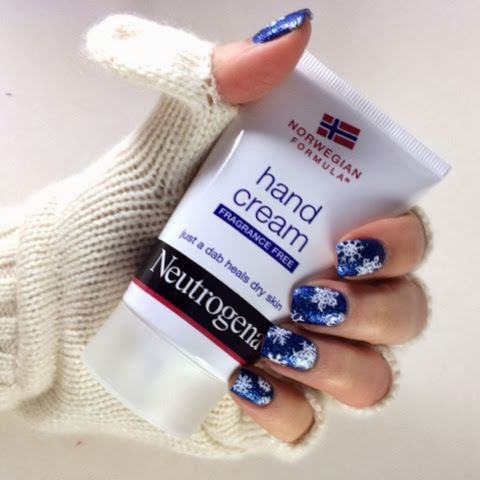 Clinical testing proves that Norwegian Formula Hand Cream is unsurpassed at healing dry skin and providing lasting relief. When it comes to protecting hands from the rigors of daily use, it's a favorite among fishermen and manicurists alike." 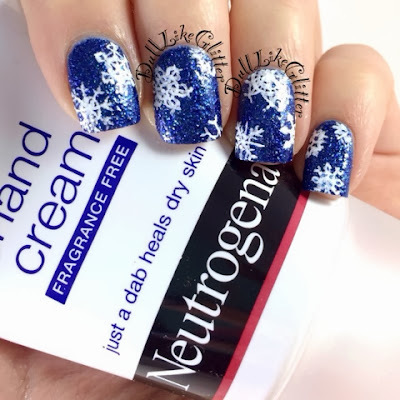 Neutrogena claims that this Norwegian Formula Hand Cream will improve the look for your hands and nails by protecting against peeling nails, dry cuticles, dryness, chapping, cracking, scaliness and roughness. Perfect to combat against this winters cold and dryness. 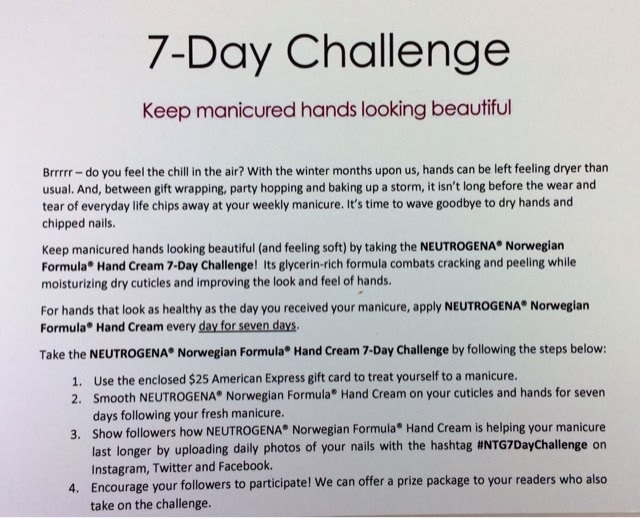 My readers who take part in the challenge could be chosen by Neutrogena to win a prize! So, if you partake let me know! I can let Neutrogena know your my follower and best bud. 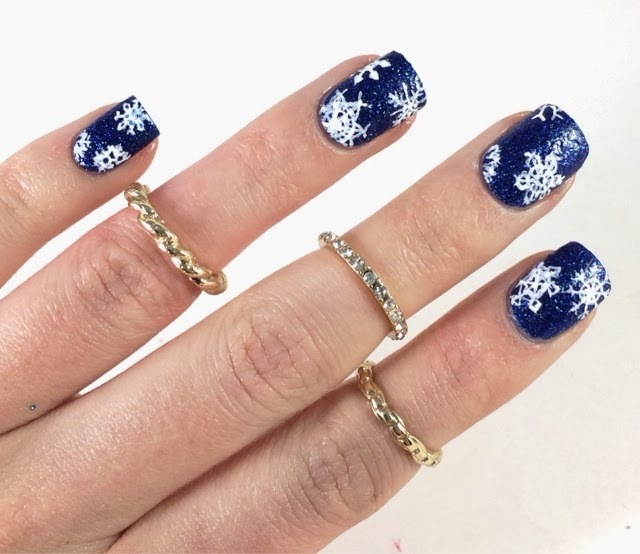 For my day 1 manicure I created snowflake nails using Essie Lots of Lux and hand painting each snowflake. Each one is individual and inspired by lace patterns. 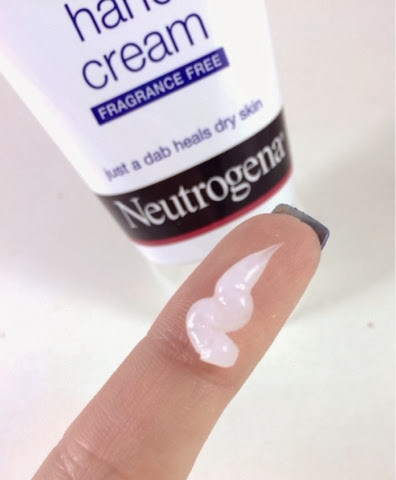 Now for the hand cream! Neutrogena Norwegian Formula Hand Cream is less creamy and more of an oily consistency. I have the unscented formula which is fine by me. Initially spreading it on is a little thick but it sinks into the skin pretty quickly. Day 2 of my nails are looking perfect! My nails are still lasting and no chipping! I love these gloves that Neutrogena sent to me. 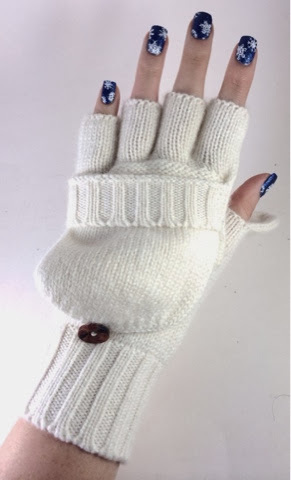 They go pretty far down my wrist to keep me warm, the fingerless gloves are great to snow off my nails and if I get cold I can flip up the mittens. The best thing about these gloves, which I've never seen before are little slits in the thumb finger. It allows you to slip your thumb out for texting! After your done, slip your thumb back in to keep them warm and toasty. Day 4, I decided to make a little Vine video. My nails still look great! They are growing out a little so your starting to see more of my nail between the polish and nail bed. No chips and my skin is soft and smooth!